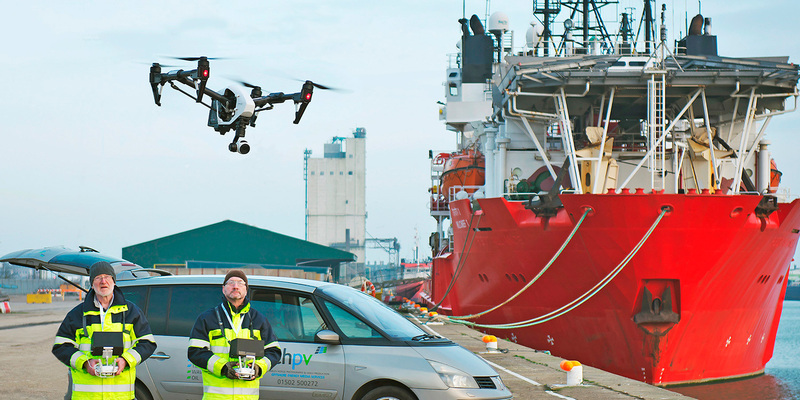 A specialist photography and filming company is ready for take-off into the world of drones as it adds to its bulging camera bag of services for the offshore energy industry. CHPV Offshore Energy Media Services has been capturing images of engineering and industry for 50 years since the early days of offshore gas in the Southern North Sea. But now the team based in Lowestoft, Suffolk, is launching aerial drone work and 360-degree virtual tours into its range of specialist services. It took a year of training before CHPV applied for Civil Aviation Authority permission for commercial operations. Business owner Alan O’Neill, who is the company “pilot”, said: “Just like flying a real plane, you have to learn about air space and air traffic control through a flight school. Drones can take high resolution still pics, and video that is twice the quality of high definition television. 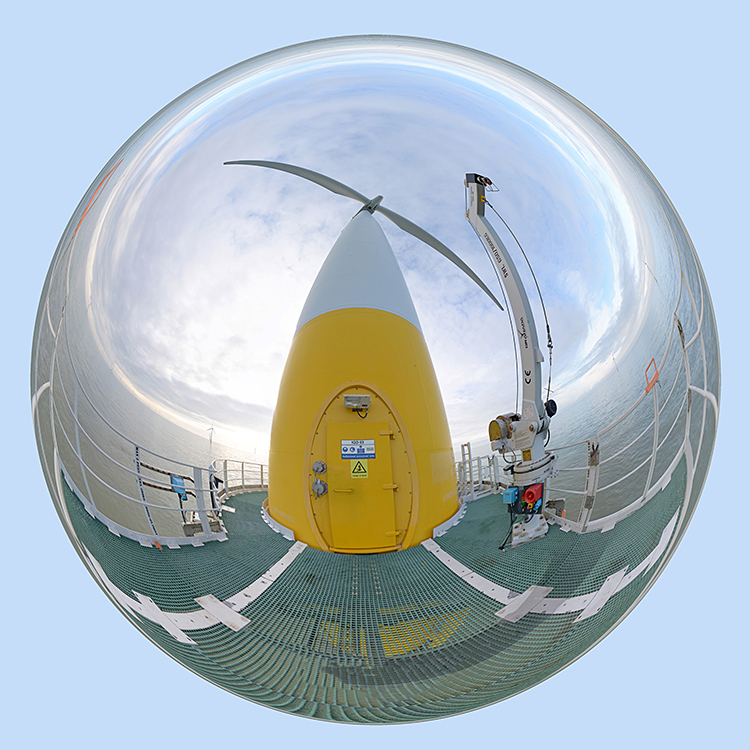 Images and footage are used for publicity, charting project progress, training and inspection of assets such as offshore wind turbines and sub-stations. He flies the drone, while award-winning TV documentary maker Andrew Pinder does the camera work, which can also provide real-time images back to a HD monitor. Drones are flown within a 500m radius of the operator and up to 400ft altitude, but only after very careful planning including public safety and risk assessment – for both on and offshore locations. A 20-minute flight can take three days of preparation. 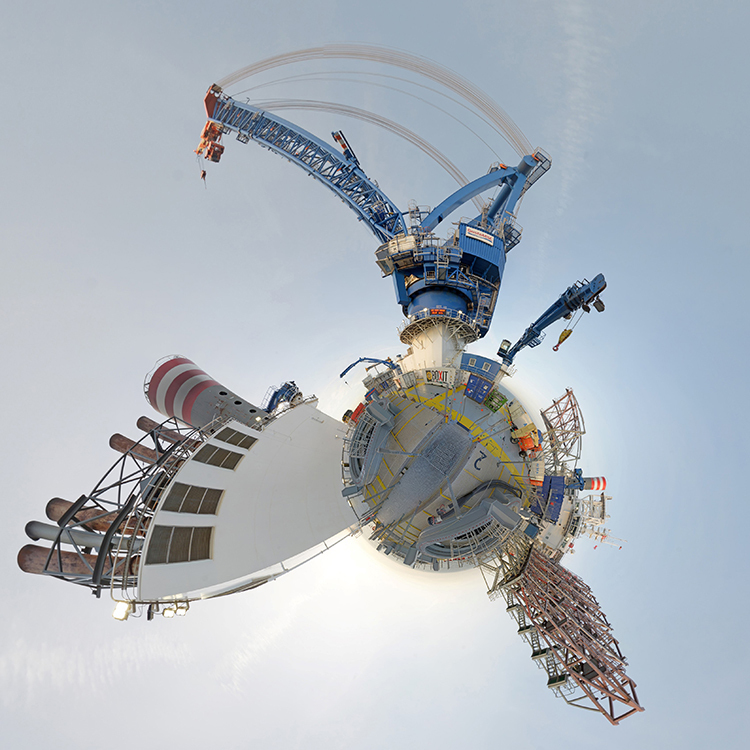 CHPV is also branching out into 360-degree virtual tours of remote assets such as turbines and ships. Fifty nine 60MB images are taken of each “360 panorama” which are built up into a walk- through experience through panning, zooming and clicking on features. It can help with condition surveys, training (including escape route familiarisation) for workers, and showing assets to potential customers. The new services are combined with half a century’s experience in energy media imagery, beginning in 1964 when founder Charles Hodge, a keen aviator and amateur photographer, turned his hobbies into a business at the dawn of offshore gas. The company has gone on to chart projects in a range of locations from the North Sea to Dubai. Mr O’Neill, who took over the business in 1982, said: “Technology is always advancing and we have to reinvent ourselves every 18 months.